Your search returned 3092 results. Edition: 1st ed.Material type: Book; Format: print ; Literary form: not fiction Publisher: New Jersy : John Wiley & Sons, 2010Availability: Items available for loan: Central Library, BUET [721.10973/LIP/2010] (1). Checked out (1). Edition: Ist ed.Material type: Book; Format: print ; Literary form: not fiction Publisher: New Jersey: John Wiley & Sons, 2011Availability: Items available for loan: Central Library, BUET [622.338/HEI/2011] (2). by Froment, Gilbert F; De Wilde, Juray; Bischoff, Kenneth B. Edition: 3rd ed.Material type: Book; Format: print ; Literary form: not fiction Publisher: New Jersey: John Wiley, New Jersey, 2011Availability: Items available for loan: Central Library, BUET [660.283/FRO/20011] (1). by Roper, A. T; Cunningham, Scott W; Porter, Alan L; Mason, Thomas W.
Edition: 2nd ed.Material type: Book; Format: print ; Literary form: not fiction Publisher: Hoboken, N.J. : John Wiley & Sons, 2011Availability: Items available for loan: Central Library, BUET [600/ROP/2011] (1). Edition: 1st ed.Material type: Book; Format: print ; Literary form: not fiction Publisher: New Jersy. : John Wiley, 2009Availability: Items available for loan: Central Library, BUET [665.53/LIE/2009] (2). Edition: Ist ed.Material type: Book; Format: print ; Literary form: not fiction Publisher: Hoboken, N.J. : John Wiley, 2010Availability: Items available for loan: Central Library, BUET [620.1122/GHA/2010] (4). Edition: 1st ed.Material type: Book; Format: print ; Literary form: not fiction Publisher: Chichester : John Wiley & Sons; 1983Availability: Items available for loan: Central Library, BUET [666/ICH/1987] (2). by Cantrell, Bradley; Michaels, Wes; Smith,Ken. Material type: Book; Format: print ; Literary form: not fiction Publisher: New Jersey ; John Wiley & Sons, 2010Availability: Items available for loan: Central Library, BUET [712.0285/CAN/2010] (2). Edition: 1st ed.Material type: Book; Format: print ; Literary form: not fiction Publisher: New York : John Wiley & Sons; 1988Availability: Items available for loan: Central Library, BUET [530.41/YEH/1988] (1). by Felder, Richard M; Rousseau, Ronald W.
Edition: 3rd ed.Material type: Book; Format: print ; Literary form: not fiction Publisher: New York : John Wiley, 2000Availability: Items available for loan: Central Library, BUET [660.284/FEL/2000] (1). Edition: 5th ed.Material type: Book; Format: print ; Literary form: not fiction Publisher: New Delhi John Wiley & Sons 2004Availability: Items available for loan: Central Library, BUET [311/MON/2004] (2). Edition: Ist ed.Material type: Book; Format: print ; Literary form: not fiction Publisher: Chichester : John Wiley [distributor], 2009Availability: Items available for loan: Central Library, BUET [623.190151/ZHU/2009] (3). Edition: Ist ed.Material type: Book; Format: print ; Literary form: not fiction Publisher: New York : John Wiley, 2001Availability: Items available for loan: Central Library, BUET [623.82/POZ/2001] (1). by Johns, David; Martin, Kenneth W.
Edition: 1st ed.Material type: Book; Format: print ; Literary form: not fiction Publisher: New York : John Wiley & Sons, 1997Availability: Items available for loan: Central Library, BUET [623.8173/JOH/1997] (1). by McDonald, John F; McMillen, Daniel P.
Edition: 2nd ed.Material type: Book; Format: print ; Literary form: not fiction Publisher: New Jersey John Wiley & Sons 2011Availability: Items available for loan: Central Library, BUET [309.2/MCD/2011] (2). by Bruce, Duncan W; O'Hare, Dermot; Walton, Richard I. 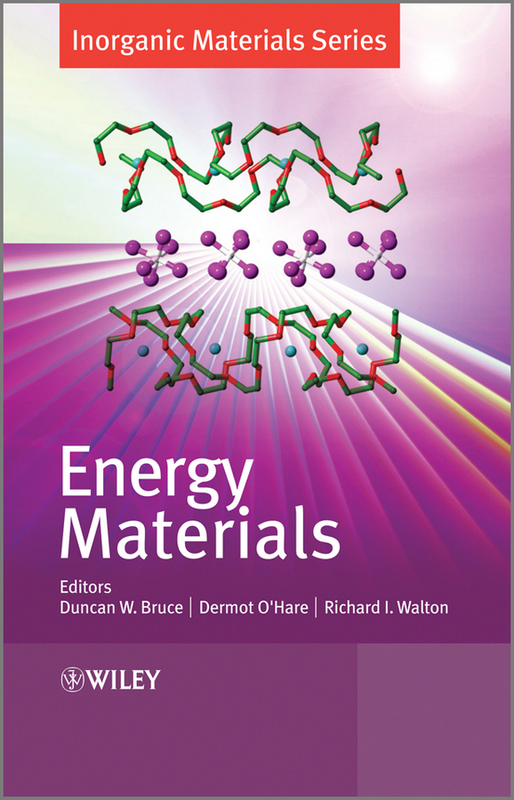 Edition: Ist ed.Material type: Book; Format: print ; Literary form: not fiction Publisher: West Sussex John Wiley & Sons 2011Online Access: Click here to access online Availability: Items available for loan: Central Library, BUET [623.5/BRU/2011] (2). Edition: 1st ed.Material type: Book; Format: print ; Literary form: not fiction Publisher: New York : John Wiley, 1999Online Access: Click here to access online | Click here to access online | Click here to access online Availability: Items available for loan: Central Library, BUET [671.52/MES/2004] (4). Edition: 2nd ed.Material type: Book; Format: print ; Literary form: not fiction Publisher: New Delhi John Wiley 1991Online Access: Click here to access online | Click here to access online | Click here to access online Availability: Items available for loan: Central Library, BUET [519.86/MON/2002] (3).